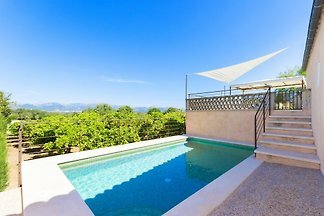 Authentic, typical majorcan cottage with private pool and capacity for 12 guests. 2 storey rustic villa located in the mountain and country environment of Costitx. Enjoy the Mallorcan countryside in this traditional lovely house with private pool in Costitx, with capacity for 6 guests. Beautiful two-storey country house with 150 m2 in Costitx, with private pool and capacity for 8-9 guests. Welcome to this country house in the centre Mallorca, in Costitx, where 8 guests will experience a great vacation. Welcome to this romantic three-storey house with room for 4 people. It is located in the centre of Costitx although withing a green area that will amaze you. Welcome to this beautiful villa of Majorcan style, situated on the outskirts of Costitx. It can accommodate 5 people + 1 extra. This enchanting cottage with private pool is located in Costitx, a romantic and rural area in the heart of Mallorca. It can comfortably accommodate 6 to 8 people. Rent successfully your holiday flat or holiday home in Costitx in only 20 minutes !